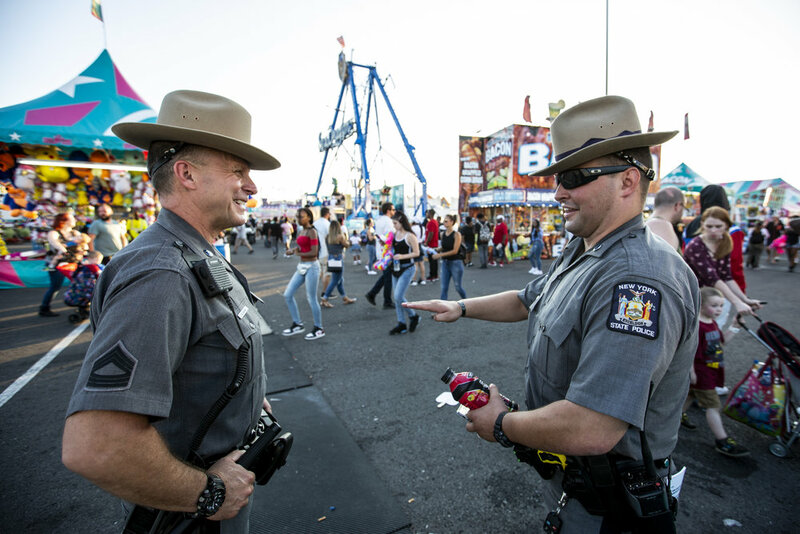 At the Great New York State Fair men and women work 14 days straight for almost 10 hours per day. To help keep the peace at a family friendly gathering place, they help kids who skin their knee, help lost children find their parents, and even operate in a crisis like a stabbing. These are the Great New York State Troopers.